Njål Sparbo studied singing with Jan Sødal, Aase Nordmo Løverg, Ingrid Bjoner and Tor Hommeren in Norway, and attended master classes with, among others Hans Hotter, Dietrich Fischer-Dieskau, Kurt Moll, Jorma Hynninen Galina Vishnevskaya and Oren Brown. After his official debut concert in 1991, he has distinguished himself as one of Norway's most active and versatile singers with with an exceptionally broad repertoire that spans opera, art song and church music. His special interest in contemporary music has led to many commissions, numerous world premieres, staged productions and recordings. Sparbo has been awarded numerous awards and scholarships, among others from the Wallenberg stipend fund, Klæstad's endowment, Fegersten's endowment, Ingrid Bjoner's scholarship and the Kirsten Flagstad Prize. After a series of concerts performing all the songs by Edvard Grieg, he received the Grieg Prize in 2009 for his contributions to renew the musical interpretation tradition in Grieg's songs, particularly by bringing up the dramatic scope. Sparbo has held The Norwegian Government Grant for Artists (1997-1999 and 2005-2008) to study Art song and Contemporary Norwegian song repertoire. In 2009-2014 he worked as a research fellow at the Oslo National Academy of the Arts in The Norwegian Artistic Research Fellowship Programme with the project «Singing on the Stage - with a Psychophysical Approach» - merging different aspects of artistic performance practice with the Norwegian psychomotor tradition. He has continued as a researcher of psychophysical stage presence, combining contemporary aesthetics with the tradition of Norwegian Psychomotor Therapy. He has coached a number of choirs and vocal ensembles, including The Oslo Philharmonic Choir, and has had engagements as associate professor at the Academy of Opera and at the Academy of Ballet at the Oslo National Academy of the Arts. In 2014-15 he joined the research group "The Reflective Musician" at the National Academy of Music in Oslo in the Project Program for Artistic Development, and he is currently part of a research group at the University of Bergen with the project: "(Un-) settling Sites and Styles: Performers in Search of New Expressive Means". 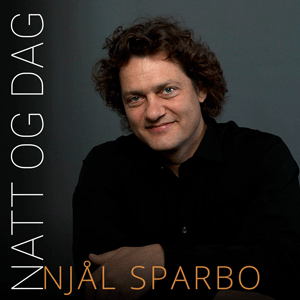 Sparbo has conducted peer reviews at The Norwegian Academy of Music, at The Norwegian University of Science and Technology, and the University College of Opera in Stockholm. He is a member of The Artists' Union Scholarship Committee and is currently a board member of the International Grieg Society. He has been managing director of Oslo Grieg Society and festival director of the Oslo Grieg Festival and a member of the board for The Norwegian Operatic Association. As an entrepreneur, he has founded several websites and the record company Quattro Records.